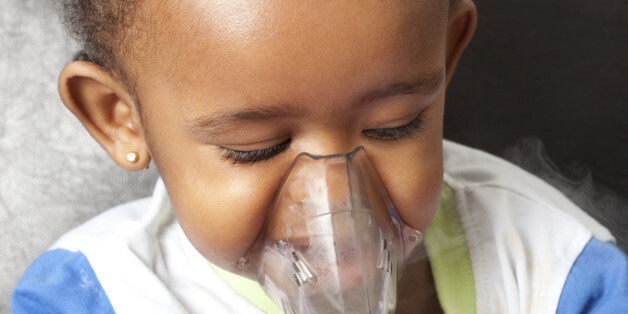 LiveMD brings you all of the important facts on whooping cough and it’s symptoms. Whooping cough, also known as pertussis, primarily affects children but it can be found in people of any age, specifically those with a weakened immune system. It is an extremely contagious bacterial infection that is transmitted by the spread of airborne particles when an infected person coughs or sneezes. The bacteria enters the body and attaches to the tiny hair-like structures in the upper respiratory tract, called cilia. It then releases toxins that damage the cilia and cause the airways to swell, resulting in a severe cough and difficulty breathing. It can sometimes take upto 10 days after initial infection for symptoms to begin to show. An infected person will begin to show symptoms that resemble the common cold such as a mild cough, sneezing, runny nose, diarrhea and a low-grade fever. These symptoms can continue for up to 7 days after which, a severe, dry cough will develop. This cough does not produce any mucus and can cause severe coughing spells. Children may make a “whooping” sound when coughing and it may be very difficult for them to catch their breath, causing their face to turn purple or red. Due to the severity of these spells, some children may also vomit. With proper medical care, a typical case of pertussis will last a couple of weeks. What is the Best Treatment and Prevention? The most effective way to prevent a whopping cough infection is to stay away from those who are known to have the infection. Frequent hand washing and good hygiene habits can also help to protect you from getting sick. If you or your child has already contracted the virus, then early treatment is very important. Antibiotics are usually given to kill the bacteria and to stop the infection from progressing and getting worse. If the antibiotics are started early on, before a severe cough develops, then the severity and duration of the whooping cough will be greatly decreased. It is very important to seek medical attention if you suspect that you or a loved one may have the whooping cough infection. Prompt medical attention is especially important for children under 6 months of age. If you would like to speak with one of our doctors about symptoms that you or a loved one may be experiencing or if you have medical questions that need answers, don’t hesitate. Timely medical treatment will often make the difference in a fast recovery. Visit www.mylivemd.com today. LiveMD discusses the signs and symptoms of this disease, which affects over 9 million people worldwide and accounts for 1.5 million deaths every year. Tuberculosis is an infectious disease that can travel through the lymph nodes in the body and infect different organs. The organ that is most commonly affected is the lungs. The TB bacteria may lie dormant in a person’s body for many years, causing no symptoms but when it becomes active, it begins to kill the tissue of the organs that it has infected. The people most at risk for developing tuberculosis are those with compromised immune systems and the elderly. If TB is dormant in the body and is not producing any symptoms, a single antibiotic will usually be given to be taken every day for a period of up to a year. When tuberculosis is active it can be extremely difficult to treat. Often many different antibiotics must be taken for a duration of 6-12 months. The tuberculosis bacteria can also become resistant to certain antibiotics, making it even more difficult to treat. In these cases, oral antibiotic therapy is combined with injectable antibiotics to better fight of the infection. Tuberculosis is a very infectious disease and can be passed from person to person very easily. The TB bacteria is spread by inhaling the germs that are expelled from an infected person who talks, coughs or sneezes. The most effective way to keep from getting sick is to stay away from people who are infected with the bacteria until they have undergone at least 2 weeks of treatment, especially if you have a compromised immune system. If you must be around those who are infected, it is very beneficial to wear a face mask. If you do become sick with tuberculosis it is very important to take your medication exactly as prescribed. Make sure you follow all of your doctor’s instructions and take all of your medication, without skipping doses or stopping before the course of therapy is done. Because tuberculosis is such a difficult infection to treat, it is important to follow all of your doctor’s advice. To speak to a doctor today by phone, video, or text, visit www.mylivemd.com. Our doctors are online waiting to assist you with all of your health care questions and concerns. Avoid the timely travels to your local medical clinic and get the help that you need, right now from the comfort of your own home. LiveMD offers information on pneumonia, how to protect yourself from contracting this illness and treatment options to get you feeling back to normal in no time. Pneumonia is an infection that affects the lungs. It occurs when bacteria or viruses are inhaled. The lungs become inflamed and may fill with fluid, making breathing extremely difficult. Who is Most at Risk for Pneumonia? Anyone can contract pneumonia but people who have a weaker immune system, are already sick from a cold or the flu or have other diseases such as diabetes, heart disease or asthma, may be at higher risk for becoming infected with this illness. Young children and the elderly also have increased risk of infection as do smokers. How can I Protect Myself from Getting Sick? The best way to protect yourself from getting pneumonia is to practice good hygiene techniques. Wash your hands frequently with warm, soapy water or use hand sanitizer. Make sure that all surfaces are disinfected and try to stay away from other people that are sick with colds, the flu, pneumonia, chickenpox, measles or pertussis. Children, the elderly and those with compromised immune systems should be vaccinated with the flu shot every year and anyone who is at a higher risk of developing pneumonia should receive the pneumococcal vaccine. If you or a loved one believe that you have contracted pneumonia, it is important to see a doctor right away. 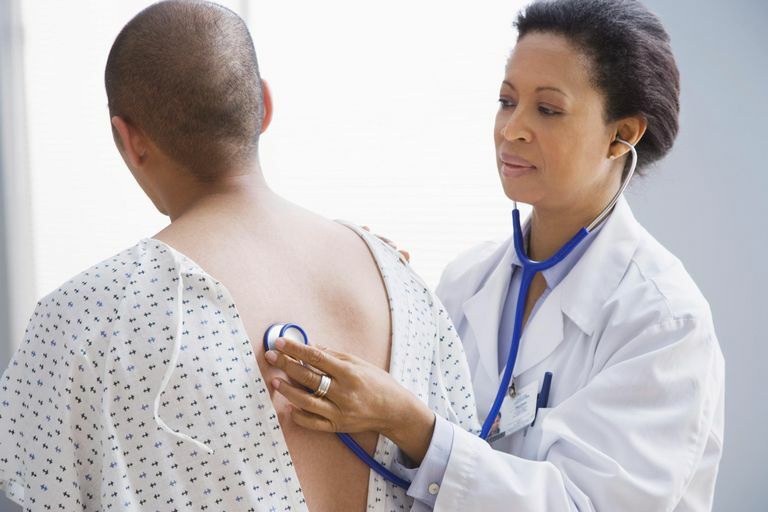 A doctor will usually run a series of test such as blood work, x-rays and test the mucus from your lungs to determine if your illness is pneumonia and whether it was caused by a bacteria or virus. If it is a bacterial infection, antibiotics will be prescribed as will medications to reduce the fever. Inhalers and cough medications can help to make breathing easier as well. If the infection is severe, the patient may need to be hospitalized. Taking good care of yourself by getting lots of sleep, drinking plenty of fluids, taking your medications as prescribed and not smoking should have you feeling better much quicker. LiveMD has doctors on call all day and all night, waiting to help care for you and your loved ones. If you need medical assistance or have urgent questions that you need answered, visit our website at www.mylivemd.com today and speak with a trained healthcare professional right away.